Too often we don't realize what we have until it's gone. Too often we're too stubborn to say, 'Sorry, I was wrong.' 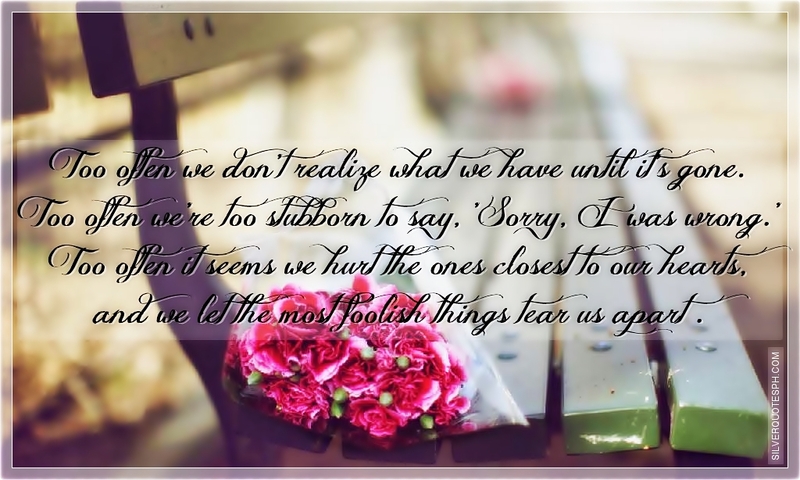 Too often it seems we hurt the ones closest to our hearts, and we let the most foolish things tear us apart.